After a stroke, many patients struggle with poor control and strength in the muscles on one side of the body. While the focus of recovery is often on the limbs and facial muscles, without a strong core, extremities and the rest of the body may suffer. 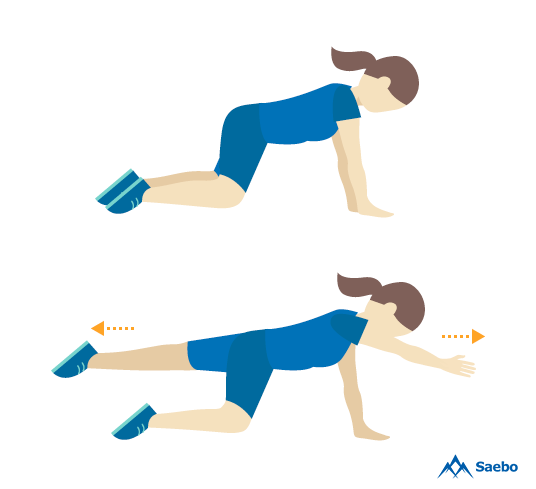 With the help of these core exercises for stroke recovery, you can continue to make recovery progress at home on your own. Beth Thornton and Kathryn Smith, physiotherapists at Physio At Home, promote the importance of core strength in stroke recovery. When the core is strong, the rest of the body benefits. Not to mention, a stroke can impact the core more than many patients realize. When working with stroke victims, Thornton and Smith emphasize the importance of the core in overall recovery and recommends specific core exercises for stroke recovery patients can perform at home to help strengthen the core. As with any new exercise, stroke victims should talk with their healthcare provider before attempting any of these. If the exercises cause pain, the individual should stop. Strokes are life-threatening events that can cause irreversible neurological damage, so the recovery period is as much about retraining the brain as it is about strengthening the muscles. In order to regain use of your core muscles, you must keep them active in order to create the brain connections you need to improve after a stroke. Pelvic floor contractions, also known as Kegels, can help strengthen the muscles on the pelvic floor, which is the muscular base of the abdomen attached to the pelvis. First, find the muscles by imagining that you are trying to hold urine or stop from passing gas. Squeeze these muscles by lifting and drawing in, then hold for a count of three. Relax then repeat, gradually increasing the holding time until you can hold for 10 seconds. If at any point you feel the contraction relaxing, let it relax completely and rest for 10 seconds before contracting again. Repeat the exercise 10 times. Lay on your back with your hands resting at your side. Bend your knees and place your feet flat on the floor. Roll your hips so that your knees push to the left, then to the right, then back to center. Repeat 10-20 times. Lay on the floor with the hips and feet flat with the knees bent. Keep the pelvis still, using the hands to keep it in place if needed. Inhale, and drop the left knee to the left, as far as possible without lifting the pelvis, keeping the knee bent. Exhale, and draw the knee back in. Repeat 5 times per side. Once you begin building some strength, you are ready to progress in your exercise practice. 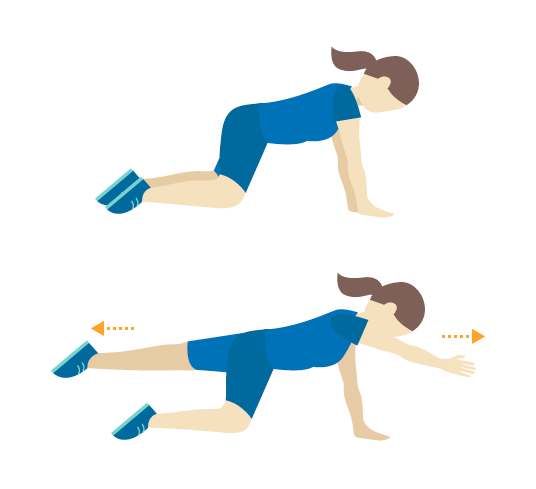 These intermediate exercises will challenge a larger number of core muscles and build even more strength. 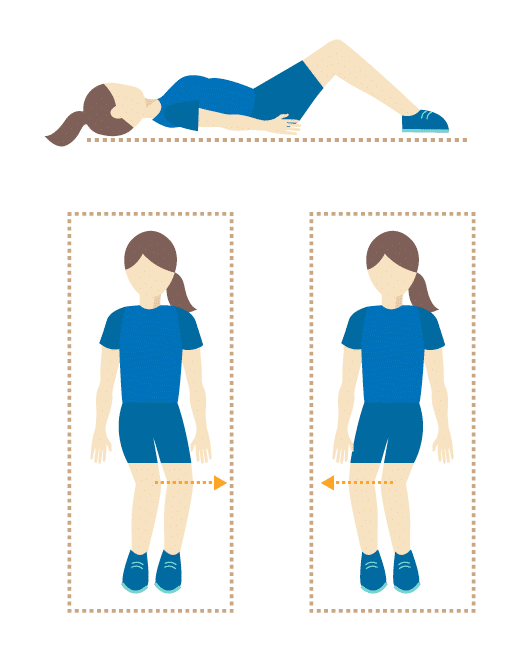 Lay on the exercise mat and place one leg flat on the floor with the knee bent. 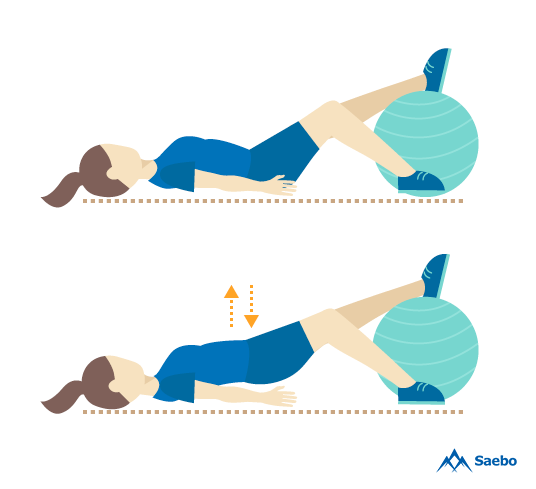 Place the other leg on an exercise ball. 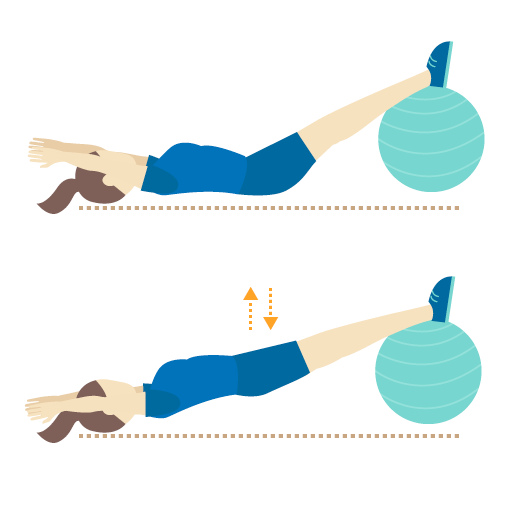 Using the core muscles, lift the pelvis off the mat and slowly lower back down. Repeat for 10 repetitions, then switch legs. Clams are a great exercise for your core as well as your legs. Lie down on your side with your knees bent, resting one knee on top of the other. Keeping your feet together, lift the upper knee towards the ceiling and hold your knees apart for 10 seconds. Next, slowly lower your knee back down. Be careful not to roll your hips back. Repeat 5-10 times on each side. Kneel on the ground and place your hands flat on the ground so you are in a crawling stance. Contract the pelvic floor and raise one leg while lifting the opposite arm. Hold for a few seconds, and return to the starting position, repeating with the opposite arm and leg. Repeat for two to three sets of 10 reps each. As you continue to develop your core muscles, you will be ready to add more intensity. These advanced exercises increase the intensity of the intermediate exercises so you can regain a strong, healthy core. 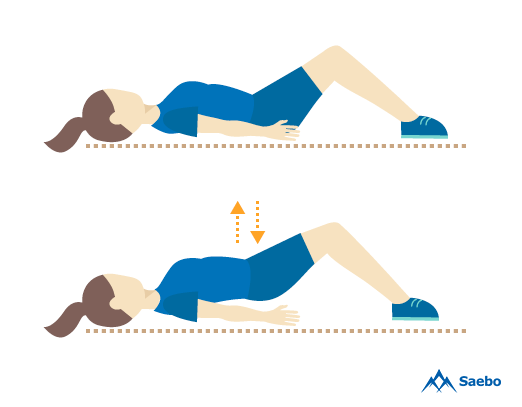 Lay on an exercise mat with your shoulders and lower back flat on the floor. Support your legs on an exercise ball. Lift your arms above your head, then use the core muscles to lift your hips off the floor until your body is in a straight line from heels to shoulders. Slowly lower back down and repeat 10-15 times. 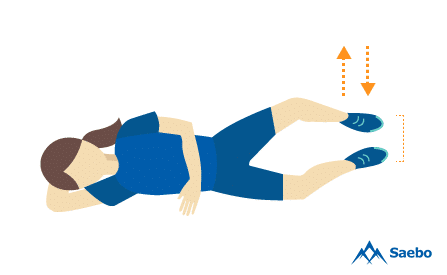 Lay on the floor and lift the legs off of the ground, holding them in a cycling position. Then, cycle as if you are riding a bicycle in the air. Rest and repeat 10 times. Imagine superman flying through the air. 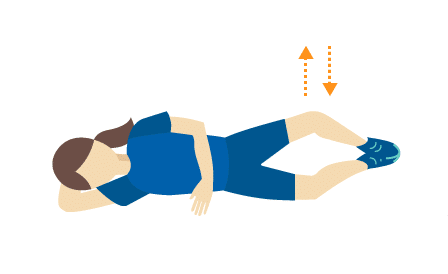 Now, lay on the floor on your stomach and take this same position, arms and legs extended. Hold to strengthen the core muscles in your back, and relax. Hold the position for 2-5 seconds and repeat 10 times. A stroke is a life-altering event that can happen in an instance. For many stroke patients, it serves as a wake up call to pay closer attention to health and wellness. A pro-active approach to retraining the muscles and the brain after a stroke is a great first step towards a healthier life. A pro-active approach to retraining the muscles and the brain after a stroke is a great first step towards a healthier life. When working at home, do not neglect those crucial core muscles. 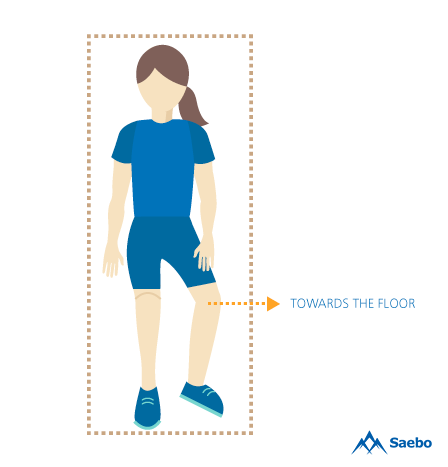 With a little bit of attention to the core, and the help of Saebo products to strengthen the hands, arms, and shoulders, you can experience a high quality of life after a stroke.